There is a unfinished proyect to make a clone. You are able to download the scheme to make your own version. 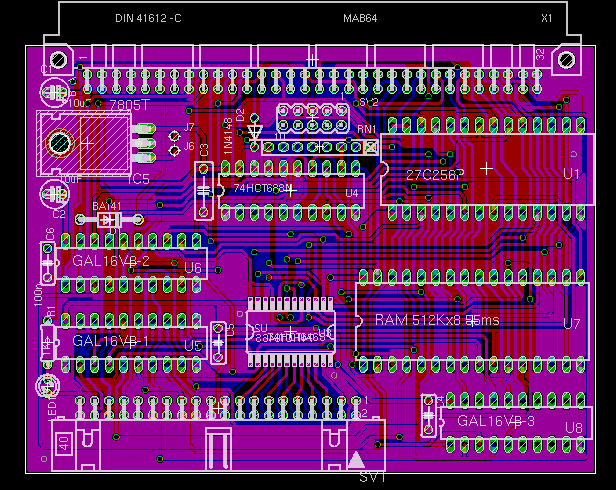 (2) This design does not have an pass-through expansion bus like original design. (3) The 1.56A QubIDE rom has been used. 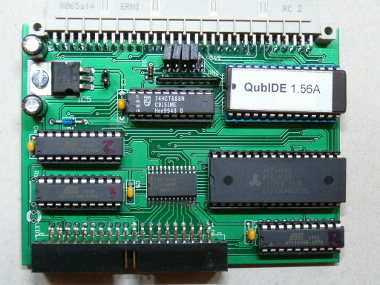 (4) The QL connector is a 64 pin female DIM41612 a + b type Q. 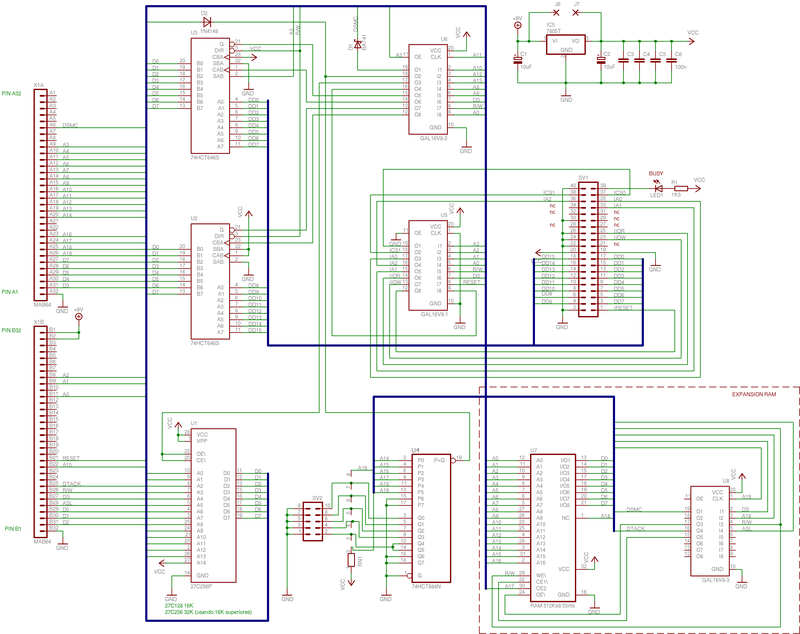 (5) Pin 20 of IDC conector is connected to +5V. 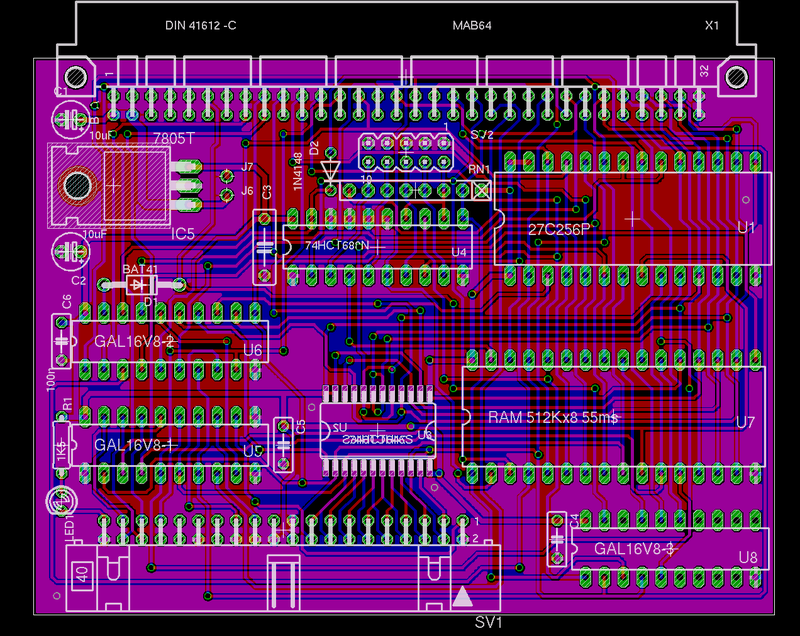 It can be used to power some SD-IDE, CF-IDE adapters and DOM discs. 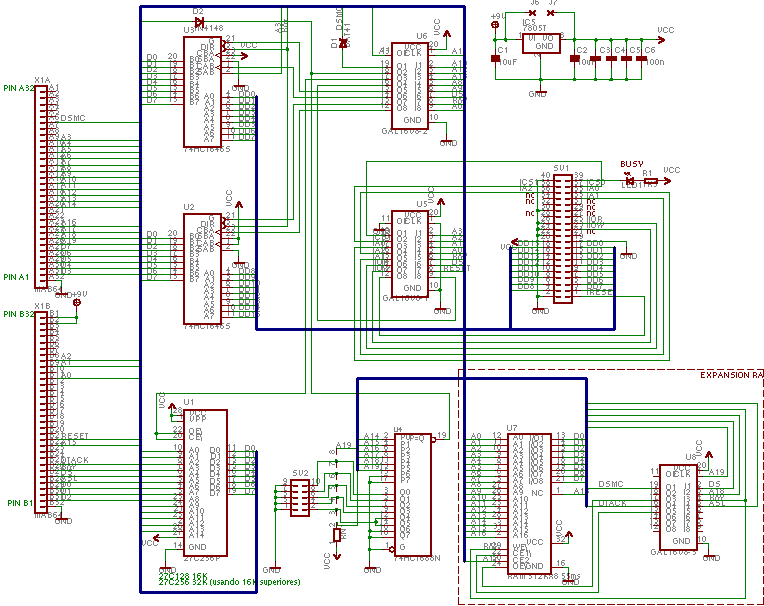 (6) Both 74HCT646 chips are SMD. 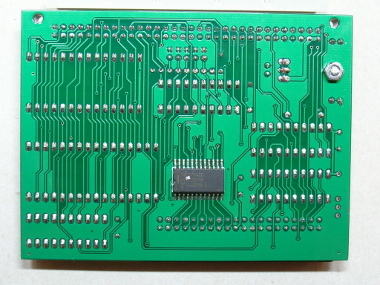 There is one on each side of the PCB. (7) Jumper J6-J7 allows connect +9v with +5v and use QubIDE with a Qplane. CAUTION. Don't use this feature in a standard QL or you will destroy the Qubide. 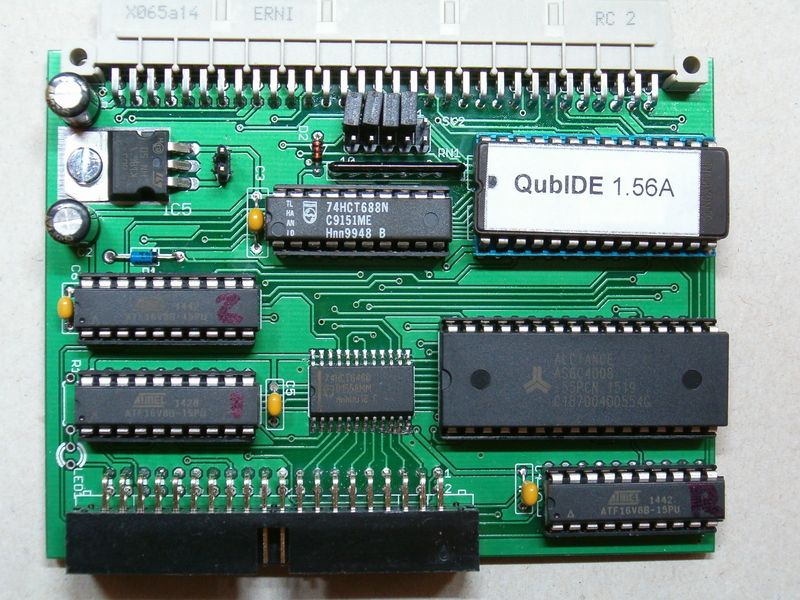 Read the original Qubide documentation. Thanks to Habi, PC software is available for Windows systems. It can handle our SD, CF, HD or DOM devices with QubIDE format. Handle zip files with "Image Editor" software. Handle img files with "Image Editor" software. Handle files with "Image Editor" software. Using "Image Editor" software in Linux (wine). 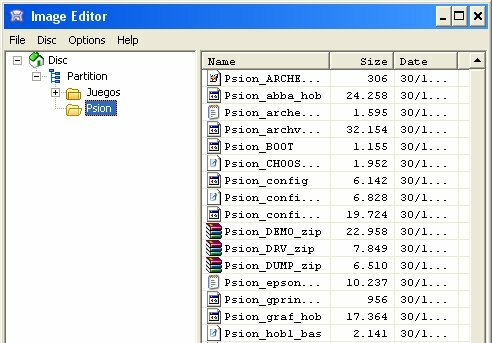 Habi "Image Editor" PC software. Now translated to English. Ron and Habi for their invaluable help.